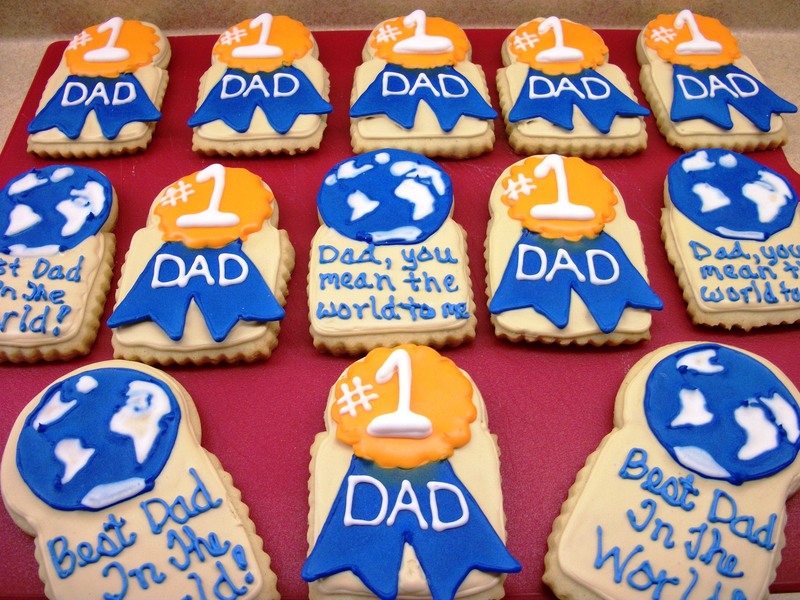 Dads love cookies as much as we do. Use this wonderful recipe to make some Coffee Liqueur Cookies and give your dad something sweet to sink his teeth into on Father's Day. 1) Butter - 1/2 c.
2) White flour - 2 c.
3) Cream - 1/2 c.
4) Baking soda - 1 tsp. 5) Maple syrup - 2/3 c.
6) Oats - 1/2 c.
7) Kahlua - 1/2 c.
9) Vanilla - 1 tsp. 1) Pour butter, cream, maple syrup, coffee liqueur and vanilla into a mixing bowl and cream together. 2) Add in the egg and stir. 3) Divide flour into three equal portions. 4) Add in one portion and mix well. 5) Add in the other flour balls, one at a time, taking care that they are thoroughly mixed everytime. 6) Add in baking soda and oats. 7) Add in nuts and mint chips. Stir them well into the mixture. 8) Drop the full mixture on an unoiled cookie sheet by teaspoon. 9) Bake at 350 degrees for 10-12 minutes or until you get golden brown cookies. An appropriate recipe to give your dad that special high on Father's Day. 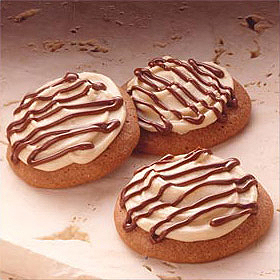 Prepare these tasty cookies and make dad feel the sweetness of your love in his mouth. 1) Butter - 1 cup, softened. 2) White Sugar - 1 cup. 4) Almond Extract - 1 tsp. 5) All-Purpose Flour - 3 cups. 6) Salt - ¼ tsp. 7) 3 Eggs - 3, beaten. 8) Almonds - 1½ cups, finely chopped. 1) Turn over oven temperature to 350°F (175°C). 2) In a medium bowl, mix butter and about ½ cup white sugar well until you have a smooth mixture. 3) Add in the egg and almond extract. Stir properly to combine. 4) Pour in salt and flour. Mix together. 5) Add the flour mixture to the sugar mixture. Mix with your hands to form smooth dough. 6) Roll the dough into 3" long and about ½ inch thick segments. 7) Immerse each segment briefly into the beaten eggs and then into the remaining ½ cup white sugar. 8) Roll the dough segments into almonds. Lay these on ungreased cookie sheets. 9) Bake the segments for about 10 minutes. 10) Turn off the heat and leave the cookies on the baking sheets for 5 minutes to cool. 11) Transfer the cookies from the sheets to wire racks. Let them cool completely. 12) Sprinkle sugar over the cookies and serve to your dad. A yummy dish to make your dad feel special with on Father's Day. Prepare this wonderful oatmeal cookie at home and let your dad enjoy the holiday in all its sweet glory.